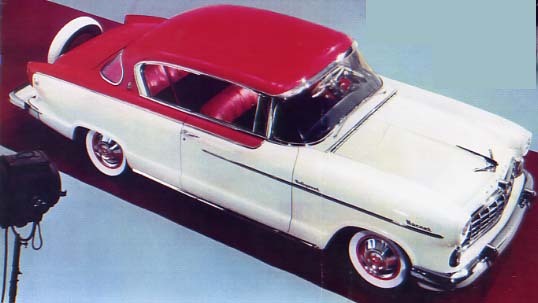 The most expensive Hudson in the 1955 lineup was the Hornet V-8 Custom Hollywood Hardtop. It cost $3,445.47 before the Federal Excise Tax was added. Hudson had an illustrious history that reached back to 1909 when the first of the marque made its debut. This was an automobile with a long string of automotive firsts to its credit. At a time when motorists got by on four cylinders, Hudson offered two more and became the largest producer of six-cylinder cars in the world. The 1919 introduction of the lower-priced Essex companion car by Hudson became extremely popular with Canadians. In the years after the Great War, Essex was often the Number Three best selling passenger car in the Dominion, snapping hard on the heels of Ford and Chevrolet. With great fanfare, the Detroit-based manufacturer finally set up shop in Tilbury, Ontario. It was an unusual arrangement because Hudson did not actually perform any of the assembly operations. That was contracted out to Canadian Top & Body Corporation, a firm that was already fabricating parts and even bodies for other automakers including Gray-Dort and Ford. The company weathered the federal election of 1935 in which Liberal Leader of the Opposition Mackenzie King campaigned to reduce tariffs on imported automobiles from 35 percent to 17.5 percent. Studebaker, Reo and Packard closed their Canadian operations but Hudson would stay in Canada. The low bucks Essex companion car in the Hudson stable gave birth to the Terraplane and that light and fast car was popular with Canadians, too. The Hudson nameplate was well known and respected, it boasted an illustrious 46-year history as the 1955 models debuted. World War Two broke out in September of 1939. Canada would throw its might behind Great Britain against Nazi aggressors. Canadian Top & Body possessed a highly skilled work force that would serve King and Country on the home front. The Tilbury Times reported on May 23, 1940 that the company had signed a contract to produce mechanical transports for the Royal Canadian Army. Other military contracts followed quickly, including the manufacture of munitions and anti-submarine projectiles. Automotive operations wound down as the world conflict deepened. After the war, Hudson was reluctant to re-establish assembly in the Dominion because of stiff taxes imposed on automobile purchasers by Ottawa. Chatco purchased Canadian Top and Body in 1947 and the company expanded into the manufacture of white goods. 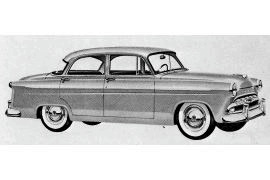 Automobile production finally got under way in April of 1950 when the Hudson Pacemaker series started rolling off the lines. Unfortunately, a disastrous fire destroyed Plant Number One on June 29. It was a credit to all concerned that Hudson assembly was interrupted for only two weeks. Hudson, like the other independent automakers, fell out of favour with consumers in the 1950s. Production of the Jet, the only model produced in Tilbury, had declined to a dismal 654 units (one source indicates production to be 359 units) for the entire 1954 model year and another 218 of the larger Hudsons were imported from the US. The Hudson Jet was not well accepted by consumers and was replaced by the compact Rambler in 1955. In a bid to stay alive in the automaking game, on May 1, 1954 ailing Hudson was folded into the much stronger Nash-Kelvinator firm. In the United States the combine was now known as American Motors, with Nash, Hudson and Kelvinator all becoming divisions of the new corporation. Here at home, it would take more time to complete the merger. Hudson Motors of Canada Limited and Nash-Kelvinator Canada Limited continued as separate legal entities until January 2, 1956. The two companies, however, were billed as affiliates of the American Motors Corporation in Detroit, Michigan. Corporate intricacies did not prevent the two former competitors from immediately combining all other forces in a practical way. Assembly of the Hudson Jet in Tilbury was discontinued on July 29, 1954 and Hudson’s parts warehouse was moved lock, stock and barrel into the Nash plant in Toronto over the Civic Holiday weekend. Hudson’s sales arm was still separate and a new national office was opened on September 1st, in Toronto with its address at 1470 The Queensway. 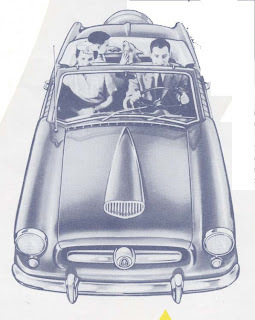 The 1955 model year was looming ahead rapidly. Automotive industry analysts were predicting that this would be the biggest year in history. 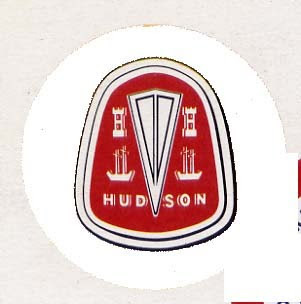 The May merger prompted Hudson designers and engineers to scramble like mad in an all-out effort to create a new look for the marque, which had worn the same body shell for seven seasons. There was neither time nor money to develop and new envelope, so Hudson would share sheet metal with Nash. On August 9, Nash and Hudson people began coordinating the planned shared assembly of the two brands in the small Toronto plant. This was complex because with the addition of the Hudson Wasp, there would now be three distinct vehicles to come off the lines. 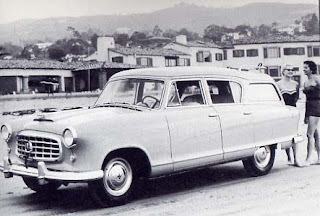 The stylish, compact Nash Rambler was built in Toronto as well as the Nash Canadian Statesman. 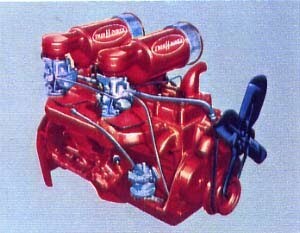 The little Rambler would now do double duty, it would wear the Hudson emblem with honour. With teething problems straightened out, domestic production finally got under way on December 17. Four-door Hudson Wasps, two-door, four-door Rambler sedans and Nash Canadian Statesman four-door sedans started rolling out the doors. The two-door hardtop models, all station wagons, top-of-the-line Hornets and Nash Ambassadors that were needed to round out the corporate stable were imported from the US. 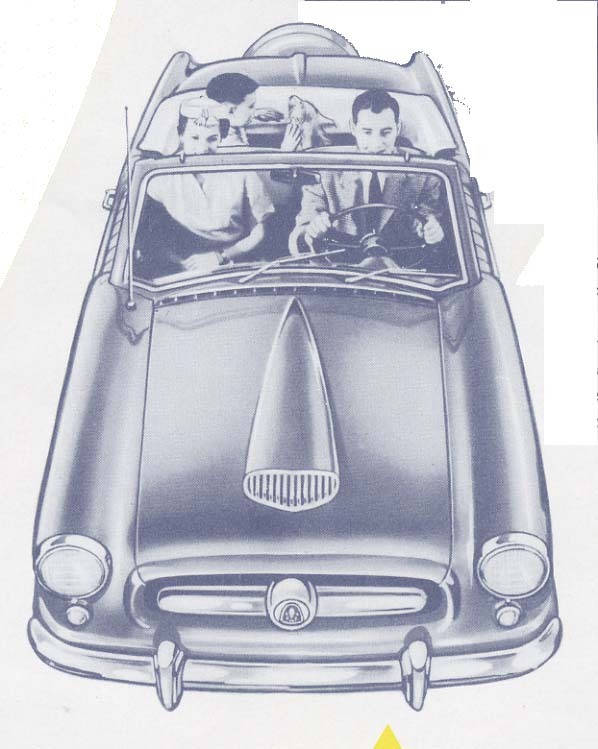 The smallest Hudson offered in 1955 was the British-built Metropolitan. Nash dealers had their own version of the captive import. A tiny bonus for Hudson dealers was the addition of the pint-sized, imported Metropolitan on showroom floors. Quite a change from last year, they had seven Rambler models, three Wasps and six Hornet models to sell. 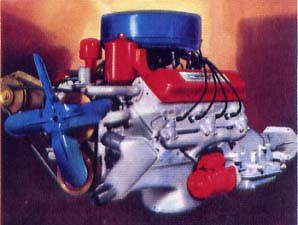 In addition to the legendary sixes, Hudson now boasted a satin-smooth V-8 engine.
. Now billed as the Hornet Championship Six, the stock car mill was the largest six-cylinder engine in the industry. 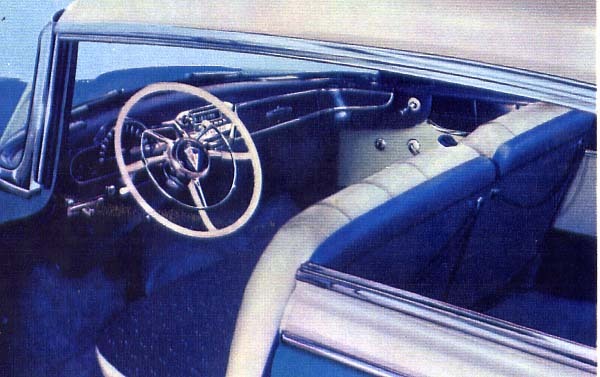 Interior of the full-sized Hudson was luxurious for the 1955 selling season. The 1955 Hudson Wasp was built in the AM plant on Toronto’s Danforth. For 1955 it listed for $2,505.33 in two-door form. The domestically built Wasp was billed as “Canada’s smartest new car in the low-medium price field.” It was not available with any of the power options. Hornets and Wasps could be ordered in any of eleven solid colours or eleven two-tone colour combinations. Hudson’s position in the market place improved greatly in comparison with last year’s. Domestic production of the Hudson Wasp reached 1,022 units for the 1955 model year.